The medicinal benefits of marijuana is a trending topic in the health community. It’s a controversial plant loved by many but often misunderstood. There are a number of active chemicals in the cannabis plant, each with their own set of benefits. The main driver of this medicinal powerhouse, however, is a chemical known as cannabidiol (CBD). Marijuana has been used for centuries to treat conditions that remain common to this day. Some examples include anxiety, epilepsy, cancer, cognitive decline, and pain. What makes CBD special? This guide will highlight the main uses of CBD, how it works, and why pharmaceutical companies are drooling over the thought of owning it (but can’t). Cannabidiol falls under the classification of a cannabinoid. It’s the classification of chemicals that interact with the receptors in our body known as cannabinoid receptors. These receptors got their name from the marijuana plant itself (Cannabis spp.). Marijuana offers some of the highest known concentrations of plant-based cannabinoids in the world. It’s not the only plant-based source of cannabinoids. Other species like Echinacea, Helichrysum, and kava are known to naturally produce cannabinoids, though to lesser concentrations. CBD is just one out of more than 100 different cannabinoids in the marijuana plant. Although CBD is not the only cannabinoid, it’s one of the most dominant in both its effects and its concentration. On average, CBD makes up about 1-2% of the cannabis flower and 2-6% of the cannabis leaves. Some species contain as much as 20% CBD! The other main cannabinoid, THC, is the main source of marijuana’s psychoactive profile. Over the past few decades, the majority of marijuana breeders have placed an emphasis on the THC levels of their crop due to its psychoactive properties. This makes sense when you consider that for a long time people were unaware of the benefits CBD offered us. There were no attempts at growing species high in CBD. It was generally considered a useless compound and was associated with poor quality marijuana . Charlotte Figi was only 3 months old when she was diagnosed with a rare and debilitating condition known as Dravets Syndrome. It’s a neurological disorder experienced by roughly 1 in 30,000 infants around the world. It began with seizures, which became increasingly frequent over the next few months. By the time Charlotte was 6 months old, she was having seizures every 15 minutes for a total of over 50 per day. Some of them could last for several hours at a time. Other symptoms resemble autism, like avoidance of eye-contact, self-injury, and slow social development. Despite years of treatment with 8 different pharmaceutical antiepileptics and a ketogenic diet, Charlotte’s condition continued to decline. Her parents became desperate in the search for an effective treatment for their daughter. The Figi’s even signed a DNR (do not resuscitate) on her behalf because her quality of life had become grim. By this time, she was bound to a wheelchair and needed a feeding tube for daily food and water. During their search for a suitable treatment, Charlotte’s parents came across recent medical articles involving CBD from the marijuana plant. They decided to try it for their daughter despite the controversy at the time (CBD had not yet come into the public eye and marijuana was illegal). Relief happened immediately, reducing her seizures to just one in the first 7 days of treatment! Charlotte ’s quality of life improved substantially. She can now walk, feed herself, and sleep through the night. Many of her autistic symptoms have decreased. She can now live a life like a normal child. Read Charlotte’s case report here. There still remained a problem. Marijuana breeders only had crops with high THC levels. The Figi’s were unable to find plants with enough CBD concentration effective enough to treat for Charlotte’s condition. A generous group of breeders known as the Stanley Brothers aimed to solve this dilemma. They got to work developing a strain high in CBD and low in THC for Charlotte. They even named the strain after her (Charlotte’s Web). This story made headlines across the world, and lead to a number of families seeking treatment for similar conditions. Legislative changes have since been made to accommodate this new treatment option. High CBD strains are now readily available at most dispensaries. The development of CBD-based products and treatments are only just beginning. Researchers are continuing to unlock new findings on how CBD produces its effects, and new uses are being discovered. ** Charlotte’s web has about 0.5% THC, and 20% CBD, making it the highest known source of CBD in the world. CBD is able to offer its benefits by interacting with the endocannabinoid system. 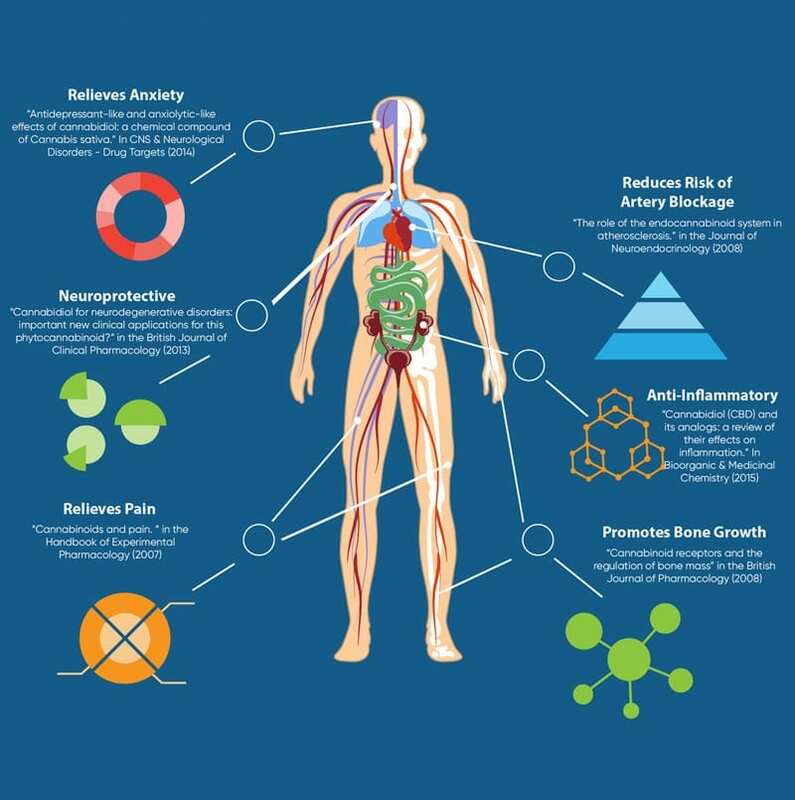 So, what is the endocannabinoid system? The endocannabinoid system, in a nutshell, is a complex system of receptors located throughout the nervous system. It works to control homeostasis of various organs and tissues in the body. This system is normally regulated by a chemical produced in the human body known as Anandamide and is considered to be the main endocannabinoid. This system involves 2 main types of receptors, each with slightly different roles. We call these CB1 and CB2 receptors. CB1 receptors can be found throughout the central nervous system (the spinal cord and brain), as well as parts of the peripheral nervous system (the body). CB1 receptors are used to regulate pain transmission, cardiovascular function, mood, memory, reproduction, appetite, and sleep. This is why the chemicals in marijuana have so many effects related to these processes. CB2 receptors are only found in blood and immune cells. The immune cells identify and eliminate, viruses, bacteria, and cancer-causing cells.It’s through this system that CBD offers most of its immune and anti-cancer benefits. Now that we have a basic understanding of the endocannabinoid system, let’s get into some of the ways CBD is able to deliver so many benefits to the body. CBD is considered a CB1 and CB2 modulator, making it more sensitive to our endocannabinoid anandamide. This helps to regulate processes in the body, turning DOWN hyperactivity, and turning UP underactivity. CBD interacts with other receptors as well. For example, CBD inhibits pain by stimulating vanilloid receptors and the opioid receptors. These are both responsible for controlling the transmission of pain from the body to the brain. When these receptors are activated, they filter the pain signals out, preventing them from reaching the brain. Drugs like morphine work through this same system. It remains one of the most effective ways of reducing pain in modern medicine. Although CBD and THC influence the endocannabinoid system, the two chemicals interact with the system very differently. 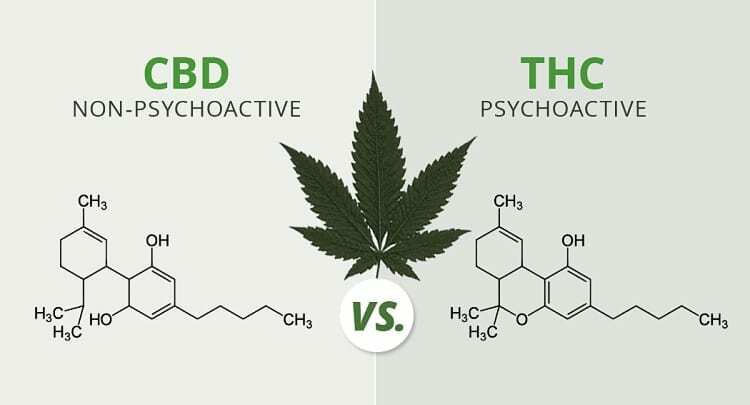 The main difference between is that CBD is non-psychoactive, while THC is psychoactive. CBD is considered to produce more effects on the body, while THC is felt more in the head. These cannabinoids also interact differently. When taken simultaneously, CBD reduces the effects of THC but increases the duration of its effects. This is partly the reason why what was traditionally considered “low-quality weed” had a higher CBD content. It’s likely that the high CBD in marijuana makes the effects of THC less noticeable. To those who are unaware of the benefits of CBD, this will make the marijuana feel poor in quality. CBD has a long list of benefits, which it owes to its ability to modulate various body systems. Rather than stimulating the body, it works to bring everything back towards baseline. This is especially helpful for overactive conditions like anxiety, pain, inflammation, and epilepsy. CBD is used for a wide variety of health conditions. As mentioned, this is due to the fact that CBD works off a system that is used to regulate a wide range of important processes in the human body. By interacting with this underlying system, you can effectively interact with these other processes as well. One of the main uses for CBD is for anxiety-related conditions including depression, social anxiety disorder, generalized anxiety disorder, and insomnia. A study investigating the role of CBD towards social anxiety disorder found that CBD was able to reduce anxiety scores significantly. This was confirmed by brain scans that showed that CBD was able to lower blood flow to a particular region of the brain near the hippocampus. Increased blood flow in this region of the brain is often used to diagnose anxiety-related disorders in a medical setting. .
CBD lowers anxiety by regulating several key neurotransmitters associated with this condition. It modulates epinephrine, serotonin, dopamine, and norepinephrine in the brain. The result is a feeling of relaxation and calmness. CBD is a popular treatment for people suffering from chronic inflammation. This includes conditions like arthritis, back pain, inflammatory bowel disease (IBD), and irritated skin. Inflammation is the bodies response to damage. Blood cells begin to accumulate causing redness and swelling. This gives the immune system time to identify and destroy any infections and bring nutrients to the area to begin the repair process. In the short term, this is helpful for the bodies repair process. When inflammation persists for too long, however, as with chronic inflammation, it can lead to further damage. This can have a variety of negative impacts on the body. The most common negative effects include high blood pressure, joint damage, and autoimmune disease. CBD has been shown to provide potent anti-inflammatory benefits on many different types of inflammation. It’s been used for inflammatory bowel disease, autoimmune conditions, vascular inflammation, and neuroinflammation. This can have long-term effects on the body by reducing the chances of developing long-term damage from inflammation. CBD has been demonstrated to have antiepileptic and insomniac effects since the late 1970s. Unfortunately, after changes to the legal status of Marijuana in the United States this research soon came to an end. It wasn’t until the mid-2000s, around the time of Charlotte Figi’s case that research began to pick up again. A study conducted out of Israel in 2016 reported significant improvements in the number of seizures in children suffering from epilepsy just like Charlotte . Other studies just like this have begun popping up around the world. Charlotte’s Web, a low THC, high CBD strain, was named after her. CBD is thought to reduce seizures by modulating serotonin and GABA in the brain. These neurotransmitters are responsible for regulating many of the electrical systems in the brain. One of the best attributes of CBD is its neuroprotective effects. With regular use, CBD has been shown to improve the formation of myelin. Myelin forms a protective layer around the nerve cells to insulate electrical activity and makes nerve transmission faster. Loss of this protective coating results in neurodegenerative conditions like multiple sclerosis. Many people are beginning to use CBD to protect against the age-related loss of cognitive function, including conditions like Alzheimer’s, Dementia, and multiple sclerosis (MS). CBD increases blood flow to the brain, reduces hyperstimulation, and promotes the repair process of brain cells. Perhaps the most common use of CBD is for pain reduction. In traditional medical systems, marijuana was commonly used to treat fevers, pain, vomiting, insomnia, and inflammation. In the 1800s, it was sold as an alcoholic extraction and used as an analgesic. Unlike THC, CBD is able to stimulate a special type of receptor known as the vanilloid receptors (TRPV1). This receptor is used in the body to stimulate pain and regulate body temperature. Additionally, CBD modulates both the CB1 and CB2 receptors in the endocannabinoid system. These receptors play a key role in the regulation of the efficacy of CBD oil for pain in the spinal cord and the brain . CBD has been shown to be effective for treating different types of pain including nerve pain, inflammatory pain, and cancer-related pain [8, 9]. CBD and THC have both been shown to have anticancer benefits . CBD, in particular, offers a variety of effects that work together to not only reduce the chances of getting cancer, but also for eliminating pre-existing cancer. 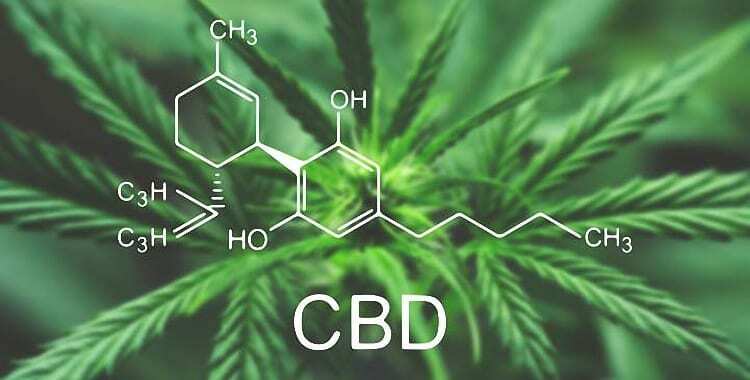 Researchers are still investigating the effectiveness of CBD for different types of cancer, but have already unlocked some incredible findings. Inhibit the growth of new blood vessels that feed cancer cells. One of the reasons CBD has seen such a rise in popularity is that it doesn’t have psychoactive side effects. CBD also has a very impressive safety profile, which makes it suitable even for children as a form of treatment for conditions like epilepsy and cancer. Studies have shown CBD is safe and free from adverse reactions in doses as high as 1500mg (5 or 6 times the high end of the dosage range). CBD is naturally occurring in the marijuana plant, where it can be consumed by smoking, juicing, or extracted in the form of tinctures or raw CBD powder. You can find CBD in more concentrated forms, which are useful for conditions that demand higher doses. This includes conditions like epilepsy and cancer. Most CBD products on the market will have some THC and other cannabinoids in it as well. This is usually the preferred form of CBD as these cannabinoids tend to work together to produce more potent effects. For more information read this guide to the different types of CBD products. There’s no specific dosage for CBD because it delivers such different effects from one person to the next. It can also vary a lot depending on the other cannabinoids and other phytochemicals in the product. Depending on the source, CBD dosages can range from 1 mg to 200 mg at a time. This is a massive range, making it difficult for new users to decide on the right dose. The general rule of thumb is to start with a low dose, and slowly build up to a larger dose. Many people will begin with 1mg and double this until they start to feel effects. For example the first day they may take 1 mg, the next 2 mg, then 4 mg, 8 mg, 16 mg, etc. If side effects are noticed, simply dial the dosage back slightly during the next dose. Some conditions, such as epilepsy, require a much larger dose than normal in order to receive the benefits. Dosage ranges for epilepsy can be between 200 and 300 mg of CBD per day or more. With so many different medical applications from CBD, the company that manufactures it must be making billions of dollars a year in profits right? According to the United States Patent Office, only new plants that are invented or discovered (and able to reproduce themselves naturally) can be included in a patent application. On top of this, no chemical obtained naturally from a plant can be included in a patent. This has left many large pharmaceutical companies unable to capitalize fully on this new and upcoming market. This isn’t unique to CBD and the marijuana plant.Other plant species such as the white willow (Salix alba) have been found to contain chemicals with potent anti-inflammatory benefits (salicylic acid). With pharmaceutical companies unable to patent this chemical, they were forced to modify it in a lab. This modification allowed them to patent the chemical and hold all selling rights over the chemical. This compound is called aspirin. Although Aspirin is great for reducing pain and inflammation, it comes with a long list of side effects that include stomach ulcers, bleeding disorders, and liver damage. It’s likely we will see synthetic and slightly altered pharmaceuticals resembling CBD over the next few years but it’s important to remember that they too won’t be quite the same as marijuana-made CBD. Although marijuana remains illegal in many parts of the world, times are quickly changing. Many countries like the United States, Canada, and Australia are working on changing the legal status of marijuana and its constituents. Specific states like California are leading the way in the United States. 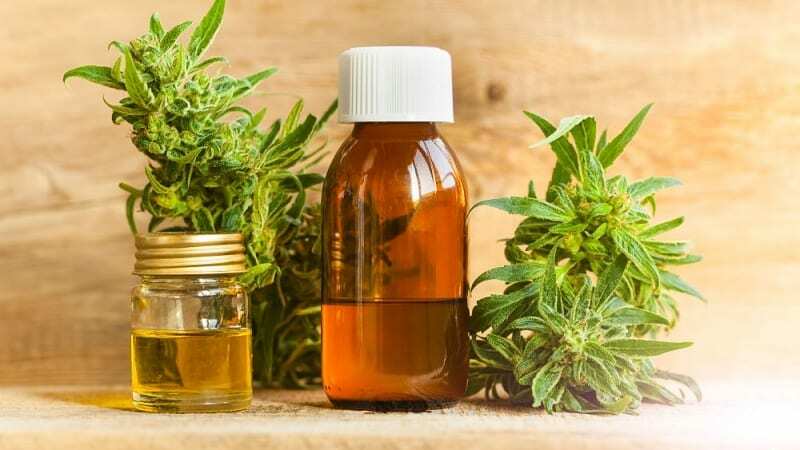 At this time, there are only a few states that have legalized the entire plant, with a handful more allowing therapeutic doses of CBD for medicinal purposes only. Learn more about the legal status of CBD. The usefulness of CBD is vast and ever-expanding. From Charlotte’s case of extreme epilepsy to more common cases of chronic pain and inflammation, word of CBD’s benefits is spreading fast. If you’re interested in getting started in the world of CBD, check out our top CBD product guide. Here we analyze and interpret some of the best CBD products on the market. Maa, E., & Figi, P. (2014). The case for medical marijuana in epilepsy. Epilepsia, 55(6), 783-786. Mehmedic, Z., Chandra, S., Slade, D., Denham, H., Foster, S., Patel, A. S., … & ElSohly, M. A. (2010). Potency trends of Δ9‐THC and other cannabinoids in confiscated cannabis preparations from 1993 to 2008. Journal of forensic sciences, 55(5), 1209-1217. Tzadok, M., Uliel-Siboni, S., Linder, I., Kramer, U., Epstein, O., Menascu, S., … & Dor, M. (2016). CBD-enriched medical cannabis for intractable pediatric epilepsy: the current Israeli experience. Seizure-European Journal of Epilepsy, 35, 41-44. Cunha, J. M., Carlini, E. A., Pereira, A. E., Ramos, O. L., Pimentel, C., Gagliardi, R., … & Mechoulam, R. (1980). Chronic administration of cannabidiol to healthy volunteers and epileptic patients. Pharmacology, 21(3), 175-185. Elikottil, J., Gupta, P., & Gupta, K. (2009). 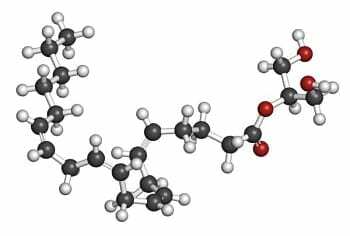 The analgesic potential of cannabinoids. Journal of opioid management, 5(6), 341. Guerrero, A. V., Quang, P., Dekker, N., Jordan, R. C., & Schmidt, B. L. (2008). Peripheral cannabinoids attenuate carcinoma-induced nociception in mice. Neuroscience letters, 433(2), 77-81. Burgos, E., Pascual, D., Martín, M. I., & Goicoechea, C. (2010). Antinociceptive effect of the cannabinoid agonist, WIN 55,212‐2, in the orofacial and temporomandibular formalin tests. European Journal of Pain, 14(1), 40-48.